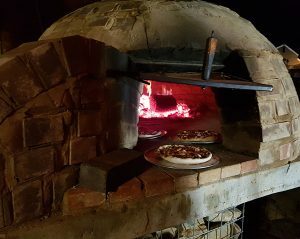 Join us on Friday evenings for our Wagga Wagga famous wood fired pizzas. Sit outside in the courtyard by the hand-built brick pizza oven and watch our pizza chef at work. Or relax inside and enjoy the ambience of our late Victorian style restaurant. To book a table, please phone (02) 6921 4241. For takeaway orders, please phone (02) 6921 4241. Pick up only. No delivery. 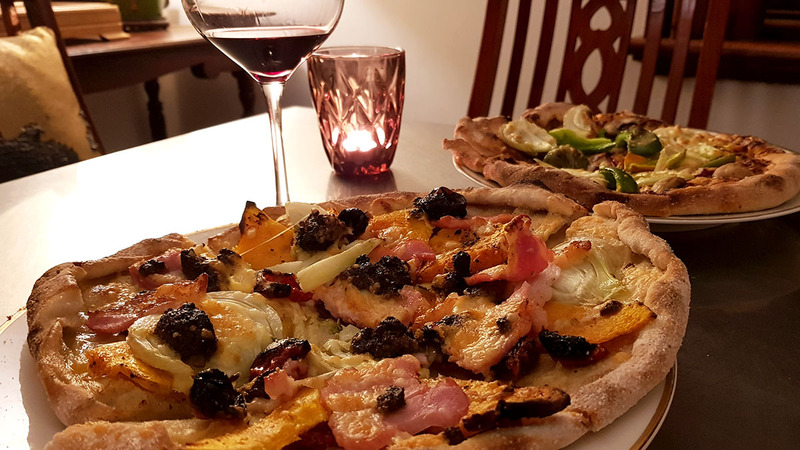 Our wood-fire oven is at optimal heat between 5:30pm and 8:00pm so make sure you place your orders within this time. Mates Gully Wood Fired Pizzas are made on site using fresh produce from our farm and house made tomato passata. 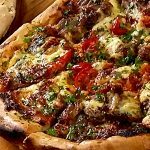 Voted our best pizza in 2018, the Mates Gully Lamb Sausage Pizza is fast becoming one of our signature dishes! If you haven`t tested out your taste buds on our dessert pizzas, then you are missing out! With fruit preserves, meringues, ice cream and coulis all made on site, these sweet delights are like no other dessert pizza you`ve ever tried! Each dessert pizza is sliced into quarters so is perfect for sharing between two or four guests. We look forward to seeing you for Friday night pizza and drinks very soon!